and started adding the trees. Definitely still a work in progress!! - Have a peek at the sweet things created by THIS artist (check through her galleries). - For those of you who are Star Wars fans AND like to cross stitch, THIS little guy would be so much fun. - And if you go HERE, you will see the most amazing four-seasons journal that Chris has made! The details are incredible. - For those of you who like weaving (and you know who you are! ), perhaps you might enjoy having a look at the work from THIS artist. And the work of THIS incredible artist too! Another anonymous quote for you today ... "Creative people don't have a mess, they have ideas lying around everywhere!" 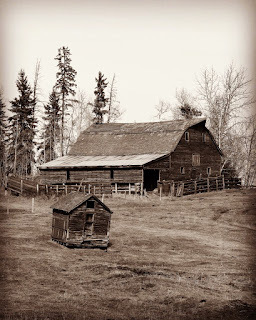 Today I hope to work on the barn roof and see what happens. Have decided, too, that the clump of grass on the lower right has to change. It's just a bit too in-your-face, even though I do plan to embroider that area. - THIS is a little cutie you can whip up for Easter. - Have a look at THIS incredible eye candy!!! - There are lots (!) of granny square patterns HERE. There are several pages of them to choose from. - If you crochet, perhaps you could make one (or several!) of THESE between now and Easter....or they'd be cute for anytime. Today's quote is from Hugh Sidey..."A sense of humor is needed armor. Joy in one's heart and some laughter on one's lips is a sign that the person down deep has a pretty good grasp of life"
A wonderful old barn and chicken coop from somewhere in Alberta. Image used with the kind permission of the photographer - Dale Stewart. Thank you Dale! Doesn't look like much at this point! - THIS is for those of you who are looking for a use-up-fabric-stash project - AND for something that is useful and/or would make great gifts. I think this project suits all of those criteria! - HERE is a really simple crochet pattern that would make a pretty little summer sweater. 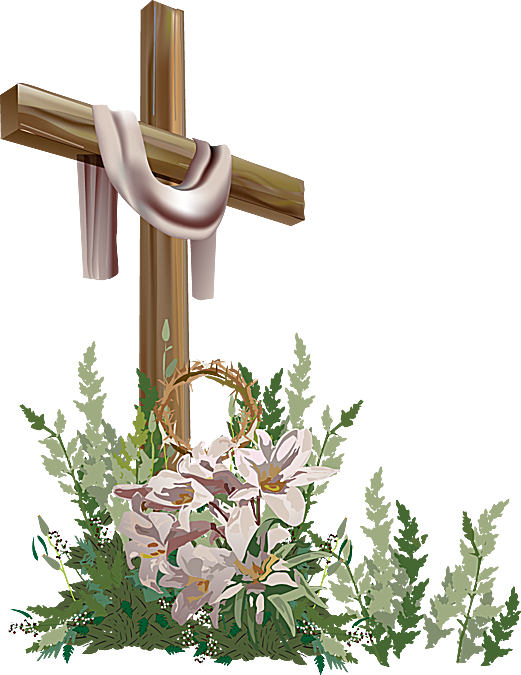 - There are lots of fun Easter decorating ideas HERE. - Kathy Shaw has opened registrations for her new online class 'Shabby Chic Purses' and you can get more information and register HERE. Be sure to hurry though, because she only leaves registrations open for a couple of days. Today's quote..."Your attitude is like a box of crayons that color your world. Constantly color your picture grey and your picture will always be bleak. Try adding some bright colors to the picture by including humor and your picture begins to lighten up"
Are you still no wiser??? Perhaps - if I were a REALLY mean person, I should make you wait until Monday for a further reveal? What do you think? - Many of you know that I used to play a lot with recycled denim, so of course THIS caught my eye. I think some of these would look great hanging on a wooden fence. - For those of you who enjoy pebble art, have a look at the great ideas HERE. - If you love quilts, you will enjoy seeing the many wonderful ones on display HERE. Amazing detail! - I love THESE flowers and they don't look hard to make. - If you have some hankies in your stash, perhaps making one of THESE might be a great use for them. I think you can click to embiggen the photos. The hooks on the left are my collection and the really fine ones on the right belonged to my maternal grandmother who crocheted lace that she often used to trim pillowcases. She also knit very fine lace for the same purpose. Alas, her knitting needle collection wasn't passed down to me. Today's quote...."Life is partly what we make it and partly what is made by the friends whom we choose"
What's a grandmother to do? Especially when she comes across a really cute pattern? Or when there's a special request from her grandson's daddy? Our littlest grandson loves the first one I made him and carries it around and sleeps with it. There have been a couple of close calls when his monkey went awol, but luckily he was found. Our son thought it might be a plan if there was a replacement in the wings, just in case. I didn't have the heart to tell him that a new monkey wouldn't be as well loved as the old! And, I made him this, just because I wanted to! Grandma has a resident dragon in her sewing room that oversees all she does, so our little guy needs one too. See? 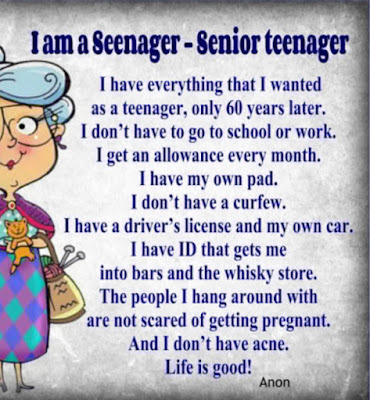 I can justify anything when it comes to grandkids!!! Pattern for the dragon can be found HERE. - Some amazing eye candy in the galleries found HERE! - If you like to crochet, perhaps THIS stitch pattern might give you ideas. - THIS one is for the quilters - it's shown as one block, but wouldn't it make a spectacular quilt? - THIS would make an amazing gift, particularly if a piece of jewelry just *happened* to go along with! - How about one of the easiest projects you'll ever see? Have a look HERE. - First I've heard of THIS but what incredible results (be sure to scroll down)! Unicorn spit....who knew? Another anonymous quote..."Everything you want is on the other side of fear"
You'll have to stay tuned to find out! - HERE is a cute recycling project you could make for Easter. - Have a peek at the eye candy found HERE! - There are a number of suggestions for re-purposing your used coffee grounds HERE. Today's quote is from Frank Tyger..."Be a good listener. Your ears will never get you in trouble"
Tah Dah!!! 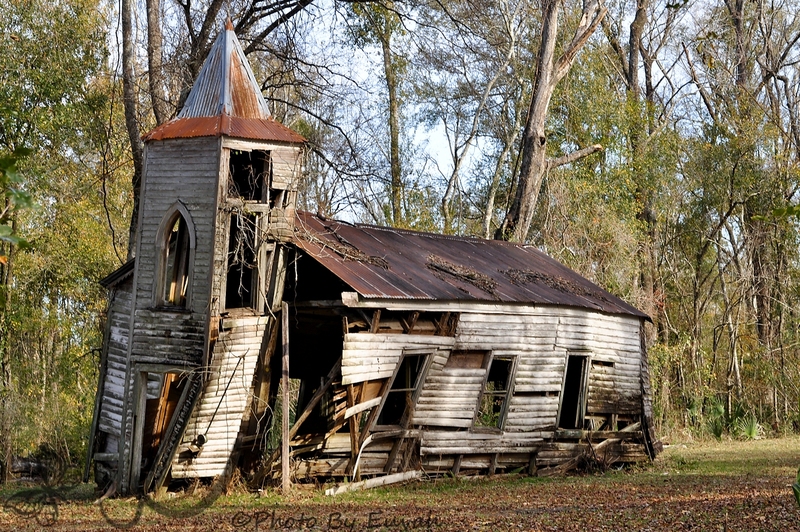 The Louisiana Church is done!! 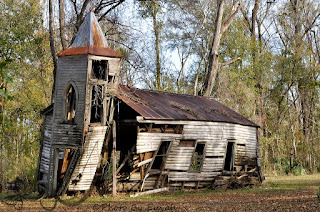 Below is the original photo of the church in Chackbay, Louisiana - photographed by Euvah Bryant and used with her permission. Thank you Euvah! I hope you like what I've done with it. 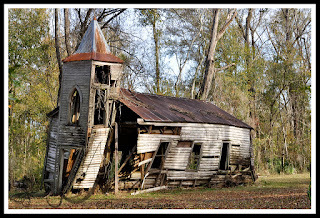 This church has since been torn down - such a shame. 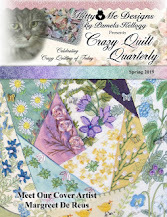 - THIS will take to you a fun quilting sew along. 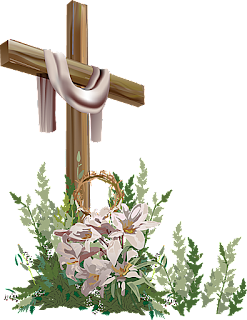 - If you have been wanting to learn to embroider with silk ribbon, perhaps you might find THIS link interesting (it leads to part 1 of what are several installments). - Some of you may enjoy THIS post highlighting some wonderful Easter eggs. - Have a peek through the galleries HERE - lots of inspiration! Today's quote..."The two most important days in our life are the day we were born and the day we find out why"
A close-up of the embroidery, and the sweet wee bunny applique. I had a precious scrap of bunny fabric and this is the last of the little bunnies. Wish I could find some more! Some things just make me wonder. I recently had to purchase a new printer and just bought my first new ink for it. I thought I should read the directions (for once) and was rather astounded to see that the first caution (and in large print no less!) said 'Do not drink'. Ummmm - wonder who would think it was wise to try to drink printer ink - to say nothing about the logistics of sucking it out of the cartridges! - There are lots of ideas HERE for using up fabric scraps. - There's a sweet tutorial HERE for embroidering wisteria - as well as links to some other flowers too. - THIS is a nice little bag tutorial with lots of uses. - To lick or not to lick - that is the question - and Mary Corbet raises a very interesting discussion on the subject HERE (and while you're at it, you'll learn how to make nicer bullions!). You'll have to scroll down towards the end of her post. Many people give their sewing machines a name - some of them really cute. I, however, have never named a machine, why I don't know. After spending pretty much all day on Saturday swearing at mine I have decided that a very apt name is 'PMS' with a middle name of 'Albatross'. She woke up on the wrong side of the bed and hissy fits (both hers AND mine) were the order of the day. She snarled and she tangled and she grabbed hold of the fabric with her little teeth and refused to let go. I cleaned her....I untangled her.....I rethreaded her.....and she still wasn't happy. She didn't like the way that bobbin was threaded, and this one wasn't any better. She didn't like a new needle either, thank you very much. Sigh. However, perhaps you can see that in between the hissy fits some of the quilting was actually completed. Sort of. - THIS is for those who like modern quilts - lots of pattern ideas! - Thank you to Lyn for sending THIS along to me. Many of you are familiar with Mr. Finch and his incredible creations, so I thought I'd share. - THESE would make great gifts for teenagers (or anyone, really!). - HERE is another great use for fabric scraps - or fat quarters. To make it even better, it would make a great gift too! Today's quote..."Do not listen with the intent to reply, but with the intent to understand"
I know it's probably very hard to tell from the picture, but there actually HAS been a lot of stitching added to the church. Just a little more to do and then it's on to the grass area. - There's an interesting article on Mary Corbet's site regarding thread keeps, and also a link to a really pretty free one you can print. Go HERE to read all about it. - I think THESE are going on my 'grandma-make' list! - There's a cute cross stitch sampler pattern HERE. - If you live in Canada, perhaps you might like to sign up for some free seeds to help support our dwindling bee population. Go HERE. - You might like to make some of THESE for your spring decor. Your quote..."Hate no one, no matter how much they've wronged you. Live humbly, no matter how wealthy you've become. Think positively, no matter how hard life is. Give much, even if you've been given little. Forgive all, especially yourself, and never stop praying for the best for everyone"
You know what happens to many good plans....they're bound to run amuck. Needless to say, the advisability of having a small palette of paint perched on the side of my worktable was perhaps not 'the thing', particularly when one decides to get up to answer the phone and watch in horror as the in-process landscape slid to the floor, managing to marry up with the paint palette during the descent. Paint .... on the floor. Oh, and just a few splatters on my landscape. Took off pants....washed pant leg.....mopped up paint on the floor.....mopped off my shoe......flooded splatters with water...hoped for the best (oh, and there was just a teeny little bit of swearing too). To my complete relief the damage to the landscape was minimal and the application of some more paint (scary thought!) will set things right. Phew! - THIS is a great stash-buster pattern that would be SO cute for Easter! Thank you to Joy for this link and you can see her version HERE. - There's a cute little Easter project HERE. - If you have a pretty doily in your stash just waiting for inspiration to strike, perhaps THIS might give you an idea. From that anonymous source again...."Never regret a day in your life: good days give happiness, bad days give experience, worst days give lessons, and best days give memories"
The pattern is 'Snow Bunnies' from a Beehive booklet called 'Knit Menagerie' - knit in the round and made a tad longer than it called for because our grandson is tall. If I had to do it again, I would make the stripes much wider (and less of them) and I wouldn't carry them quite so high up the body. as a DENT in my stash!! - For those of you who are getting rather creaky in the knees and don't want to have to crawl about on the floor trying to block a piece of knitting (not that ANY of us are in that state!! )....have a look at THIS video for an alternate method. - THIS would be a cute little project to do for Easter - perhaps even with the kids or grandkids? Anonymous quote again..."Hate has 4 letters, so does Love. Enemies has 7 letters, so does Friends. Lying has 5 letters, so does Truth. Negative has 8, so does Positive. Under has 5, so does Above. Cry has 3 letters, so does Joy. Anger has 5 letters, so does Happy. Right has 5 letters, so does Wrong. Hurt has 4 letters, so does Heal. It means life is like a doubled edged sword....so transform every negative side into an aura of positivity....we should choose the better side of life"
There's an old line that says 'when momma ain't happy, nobody's happy' and I have to say that my first two attempts at grass for the church scene were NOT making me happy. So....here's the latest effort and I have to say it looks a whole lot better (at least in my mind anyway). Either way, I'm not doing it again! - THIS is most definitely on my list to make! Thank you to Mary Katherine for the head's up about this pattern. - Kathy Shaw has a fun new pattern available - one that can be either 'sane' or 'crazy' depending on how you want to make it. Go HERE! - If you live in the United States, perhaps you might find THESE state outlines useful for a project. Resident Chef just came back with some laundry and called me to see the stalagmites popping up from a washcloth. Had to take a photo because it made me laugh. Methinks it might be time for some new ones! Another anonymous quote..."Brain cells, hair cells and skin cells - they all die constantly, but fat cells seem to have eternal life"
button in my favourite theme! letting me give it a home. of Liz (also known as Boud). - If you have little ones in your life, perhaps THESE might be fun for them. Would make great pillows too! - There's a great chart and tips HERE for watering your houseplants. - THIS looks like something fun to crochet - and could be used in many different applications. - Have a peek at the eye candy from THIS artist! She does many different installation and art pieces. - There are a number of great slipper patterns HERE. Today your quote is from Karen Salmonsohn...."The older I get the more I realize the importance of walking away from people and situations which threaten my peace of mind, self-respect, values and self worth"
Some additions, deletions, and distortions have happened.....which may, or may not have made it better....or worse. Waffling? Oh yeah!!!! Sorry, but I haven't had time to find you any links for today. I know I could simply have not posted at all, but thought you might wonder where I've been (I know - dream on!!). I do have a quote though....from Phil McGraw..."Sometimes you make the right decision, sometimes you make the decision right"
Perhaps now you can see the evolution of a church - maybe? Then again, maybe not!! There's a lot of stages that look like a dogs breakfast until it finally starts coming together and at the moment it's very dog breakfast-y (of the sort that some might think more closely resembles barf!!). - Some of you might enjoy spending a little time watching THIS live cam of a barred owl nest (it's rather addicting - I warn you!). Thank you Jocelyn for the heads up on this one! - There's a cute Easter-themed cross stitch project HERE. I think the designs could be expanded and used in other applications too. - I haven't tried THIS method myself, but it looks like a super way to turn a tube of fabric. - Mary Corbet has posted part two of her 'Stitching With Variegated Threads' tutorial HERE. Well worth a read! 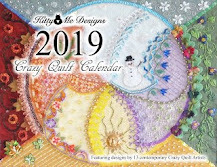 - Most of you know that I'm involved with the 'Crazy Quilt Quarterly' magazine and I thought some of you might be interested to know that Pam Kellogg (owner & editor of the magazine) has been issuing a lot of her amazing cross stitch patterns. Check out her listing HERE. No affiliation on my part apart from us being friends! An anonymous quote..."Never regret a day in your life: good days give happiness, bad days give experience, worst days give lessons, and best days give memories"
Just another reminder that I'm now responding to your comments directly here on the blog, so don't forget to check back! This is the beginning of the next landscape. At this stage I pretty much always hate it and this is no exception. Hopefully it will look better as I go! If you want to see the photo I'm working from go HERE. - I absolutely adore THIS pattern!!! So cute - wouldn't he look amazing perched on a bookshelf? - If you check out the site HERE (crochet patterns) and HERE (knitting) you will find lots of interesting pattern choices - some free, some for a nominal charge. - The newest issue of 'Online Quilt Magazine' is out and there are some really nice patterns and articles to peruse (oh, and my latest landscape is in the Reader's Showcase!). Go HERE to download your free copy and, if you'd like to subscribe for more content, the link is there as well. It's only $10/year so well worth it! - THIS is rather intriguing - not sure I'd actually do it, but there are possibilities. Today the quote is from Oprah Winfrey..."One of the hardest things in life to learn are which bridges to cross and which bridges to burn"
It's really hard to get a photo of something that's behind glass because there is always a reflection. I took half a dozen pictures and when I downloaded them I had to laugh because the glare on this one looks as though the headlight is on!! I chose not to mat this for two reasons - 1. I got this frame for nothing and I didn't want to fork over the bucks for a larger one, and 2. trying to mat something that's relatively thick is really difficult, unless you opt to go for a shadow box effect. Nice, but costly!! If the new owners want to re-frame it, they are welcome to do so, but in the meantime this will have to do. I rather wish I was keeping this one! - Mary Corbet has posted Part One of a very interesting article on the use of variegated threads. Some great information and it can be found HERE. There will be another article in the series in an upcoming post on her blog. - THIS rather intrigued me - not that I have any use whatsoever for the technique, but it IS interesting! - There's a great article HERE that shows eco-dyeing with plants - both the plant itself, and the results. - Lots of ideas HERE to use charm packs. - And if you look HERE there are tons of ideas for using jelly rolls in your quilts. Today's quote is from Tony Gaskins..."To be content doesn't mean you don't desire more, it means you're thankful for what you have and patient for what's to come"
First of all, thank you for the supportive comments over my scanner woes. You'll be happy to know that I figured it out and (fingers crossed) all seems to be working the way it should now. Of course now I've said that, I'm liable to have jinxed myself! This morning we woke up to sunshine. Amazing how that improves your outlook on life! It's cold, but the sun makes you feel so much better. Alas, today I have no pictures for you. Not a one. Nada. None. Zip. Zilch. We won't discuss how I managed to fall head first down the rabbit hole commonly known as Ancestry and spend altogether too many hours inputting family history that was generously shared by a distant cousin. It's amazing how wrapped up one can get in what was happening in people's lives many years ago. This morning I was rather taken aback to see that one relative ended up marrying (AND divorcing!) the same woman three times!! Too bad they couldn't make up their minds! - Have a peek at the amazing art done by THIS artist (there are several galleries to see!). - If you have space for THESE, perhaps they would be a fun addition to your decor. - There are some great sewing supply tips HERE. - Being that it's the Year of the Pig, how about making THESE cuties? Or THESE? - What little one wouldn't love being wrapped in one of THESE?? - HERE is a fun photography challenge you might like to play along with. Today the quote is from Kate Morton..."Don't slide down the rabbit hole. The way down is a breeze, but climbing back's a battle"
Heaven deliver me from technology. Why is something that should be so simple is bound and determined to thwart me every single solitary step of the way??? My much-loved Canon printer/scanner/copier decided, after much service, that perhaps it was tired and deserved to die a natural death. After appropriate funeral-like sympathy, your blogger got a brand shiny new Epson (which seems to be one of the few printers these days that simply prints, scans and copies without all sorts of other bells, whistles and farts that aren't necessary to my existence). It arrived yesterday and after much nail-biting and mustering of courage, your writer undertook to set it up. Hmmm.....plug this into that....and that into this. So far, so good. Oh....and it comes with a CD.....wow, that's easy. Right? Wrong!! Inserted CD and watched while things whirled, and spun and said click this....click that....wait.....and finally, finish! Woo hoo!!! Well, not so fast. It didn't want to play nice with my computer. Hmmm......much reading of manual....that first had to be located on the internet because, after all, such things no longer come with it. After much swearing and trying this and that....oh, and maybe this other thing too.....they decided that talking to each other might be good. Yay - it even printed a whole entire photo!!! Much celebration here at Chez Magpie. Someone (moi) jumped the gun and celebrated much too soon. Maybe she believed it would scan because after all, it said it did. Hah....not. So....much more reading of on line manual and googling ensued and lo - another 'thing' had to be downloaded and installed. More whirling and spinning and clicking ensued. And we had a scanner that worked. Maybe. Two days....lost. Your writer's temper.....lost. Some of you may know of my interest in genealogy and won't be surprised that, despite my being anxious to attempt working on the church I showed you last time, I have gone off in a whole 'nother direction and I've been playing about with my Vessey/Vesey line of the family (my maternal grandmother side of the family). I had one of 'those' moments in family tree research where something totally unexpected fell into my lap and now I'm a bit obsessed. A very distant cousin who lives in the area where that particular branch of the family originated is an avid researcher (made much easier because he actually lives where most of it happened) and has so kindly shared all his information with me. Would you believe I now have a 2 1/2" stack of paper, printed double side, that's waiting for me to input into my family tree? Like I said - a moment - one that doesn't happen often! I have hours (& hours!!) of happy inputting into Ancestry ahead of me. So....as I said.....a tangent. Hard to show pictures of inputting though! So....in the spirit of having some pictures to show you, I thought I'd share what's appearing to be becoming a collection (albeit not through any fault of my own!). Altho' magpies don't look quite like ravens or crows, it seems that some people think they do! art measuring about 9 x 11"
measuring about 20 x 10"
- For those of you who are into polymer clay, perhaps you might like THIS tutorial. - If you carry business cards to craft shows, maybe you'd find THIS little project fun and useful. - And, never letting be said that this blog ever stays on topic, how about watching THIS short video about tying shoelaces?? 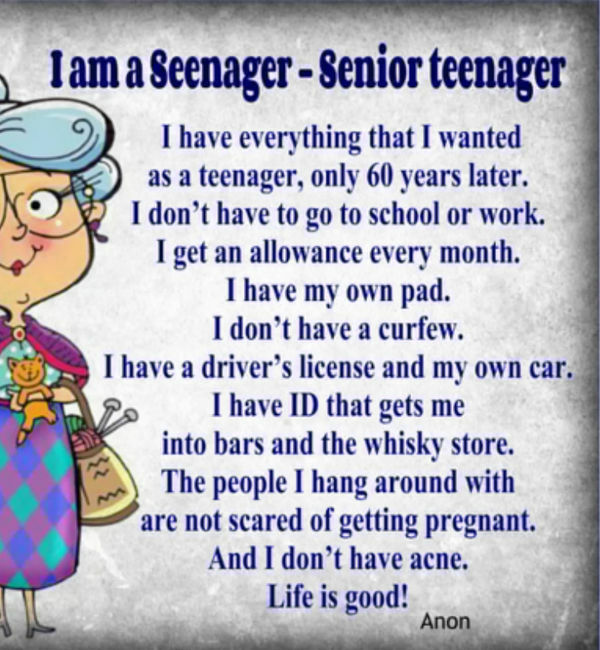 - One of THESE would make an amazing gift for grandparents! This anonymous quote made me laugh..."Of course I talk to myself when crafting...I need expert advice"
Today I'm showing you a peek of the next landscape quilt inspiration and I have to say I'm SOOO excited about this one! Thank you Euvah....I hope I can do this justice! 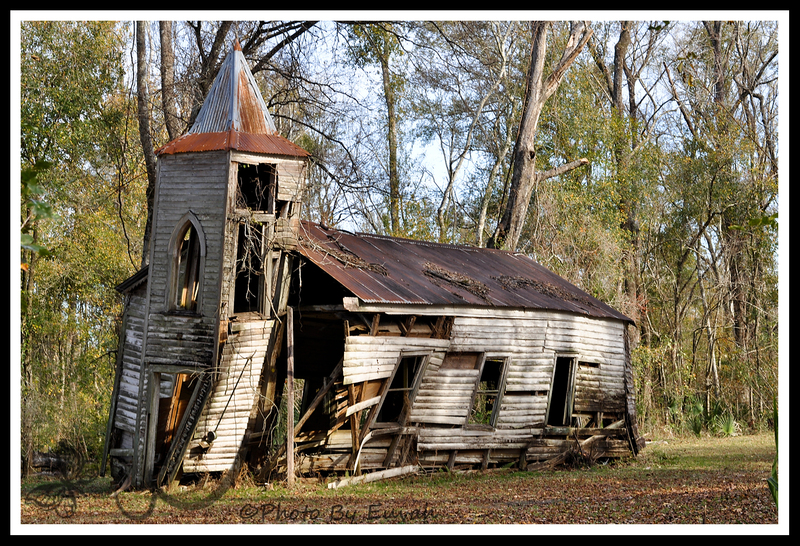 The church was in Chackbay, Louisiana and, according to Euvah, has been torn down since this photo was taken. So many of these marvelous structures are being destroyed, whether by design or by vandalism, and I think that's why I want to recreate them as best I can. - Have a look at the eye candy of THIS artist! - and THIS artist as well. - THIS is a cute (and handy) zippered pouch - lots of uses for something like this, stash busting not the least of them! - Sometimes the simplest things are the best, as THIS great project will show! Another anonymous quote for you..."If you want to make positive changes in your life, don't sit on the couch and wait for it. Go out. Make a change. Smile more. Be excited. Do new things. Throw away what you've been cluttering. Do not follow negative people or social media. Go to bed early. Wake up early. Be fierce. Don't gossip. Show more gratitude. Do things that challenge you. Be brave."